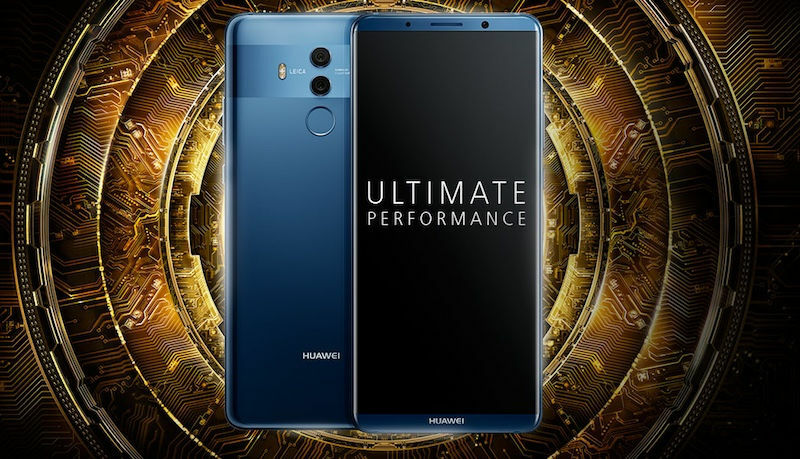 Huawei chief executive officer Richard Yu unveiled the new flagship smartphones – Huawei Mate 10 and Huawei Mate 10 Pro. The Huawei Mate 10 and Huawei Mate 10 Pro feature near-bezel less displays and offer several functionalities that are better than the $999 iPhone X and pretty much everything else on the market, he claimed. Alongside, the Porsche Design Huawei Mate 10 was also unveiled, which in terms of specifications is similar to the Mate 10 Pro. The Huawei Mate 10 Pro is priced at EUR 699 (roughly Rs. 53,400), and will go on sale from November in Australia, China, Egypt, Malaysia, Mexico, New Zealand, Philippines, Saudi Arabia, Singapore, Spain, and the UAE initially. The Huawei Mate 10 Pro is priced at EUR 799 (roughly Rs. 61,000), and will be made available in Australia, China, Egypt, Malaysia, Mexico, New Zealand, Philippines, Saudi Arabia, Singapore, Spain, UAE, some regions in Europe and Africa. Porsche Design Huawei Mate 10, has been priced at EUR 1,395 (roughly Rs. 1,06,600), with similar launch markets as the Mate 10 Pro. Huawei Mate 10 comes with 4GB of RAM and 64GB of internal storage, further expanded via microSD card upto 256GB. Huawei Mate 10 comes with 4GB/6GB RAM and 64GB/128GB of internal storage, no SD card expansion. Fingerprint scanner is placed below the rear camera. HiSilicon Kirin 970 SoC is so powerful, Yu said, you can simply connect the device to a monitor and turn it into a PC without using a dock. Once done, the phone can also serve as a mouse, a company executive demonstrated onstage at a media event in Munich, Germany. It features four Cortex-A73 cores clocked at 2.36GHz, four Cortex-A53 cores clocked at 1.8GHz, and an i7 co-processor, apart from the Mali-G72 Mp12 GPU and NPU.first smartphone mobile SoC chipset to feature neural-network processor unit (NPU). The chipset will support several AI features such as taking better selfies, Bokeh effect in images and recognising what an object is, in a more efficient manner, Yu said. It’s the most advanced chipset in a smartphone, he added. Huawei calls the entire implementation as Huawei MobileAI. The Huawei Mate 10 and Huawei Mate 10 Pro run EMUI 8.0, based on Android 8.0. The dual-SIM capable smartphone also supports NFC. The Huawei Mate 10 comes with a 3.5mm headphone jack. The Mate 10 Pro doesn’t have a headphone jack. 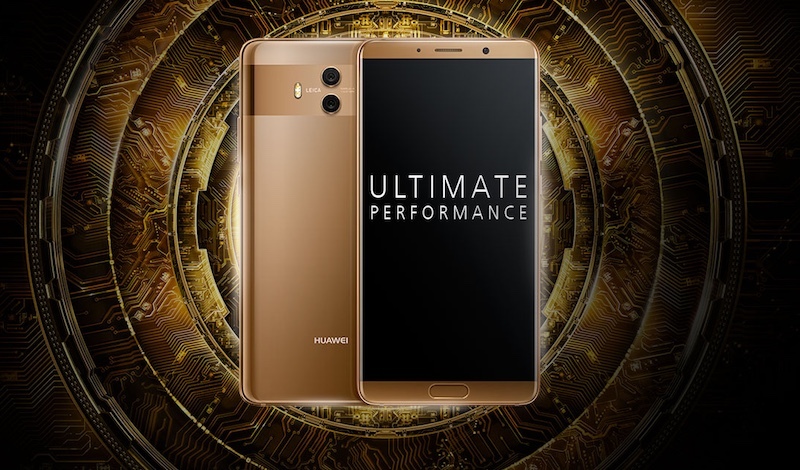 The company also announced the Porsche Design Huawei Mate 10, a special variant of the Huawei Mate 10 Pro. It comes in Diamond Black colour. It will only be available in 6GB RAM, 256GB storage variants and cannot be expanded.